Get to know the industry’s first and only native AI-powered recruiting service – Your Intelligent Sidekick for Finding Great Talent. Hiring Teams can finally focus their time where it matters most – with people, not process. Harnessing the power of A.I., SmartAssistant promotes a more efficient and more human way of hiring. Now, you can easily connect with top talent wherever they are and without ever spending a dime on sourcing or advertising. SmartAssistant boosts hiring efforts so you reach top talent, first. Good candidates are inevitably missed when hiring teams are overwhelmed. SmartAssistant eases the pressure of high-volume hiring by leveraging data science to help hiring teams prioritize screening efforts and more effectively manage large pipelines. Don’t let prior sourcing efforts go to waste because searching your talent databases is akin to looking for a needle in a haystack. 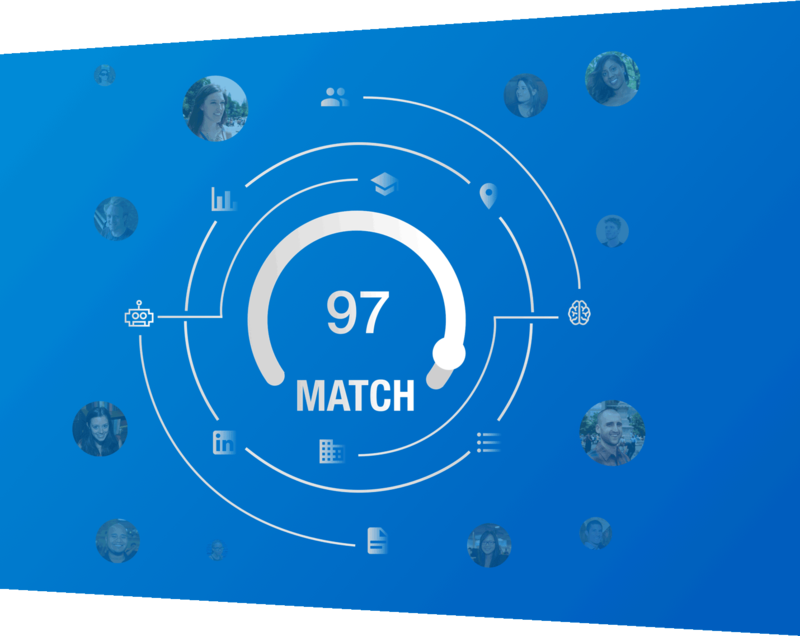 Let SmartAssistant do the work for you, simplifying external talent discovery and optimizing your internal reach by surfacing the best talent matches wherever they are. After all, the perfect candidate may be right under your nose. Hiring is far too consequential for selection decisions to rely on “gut-feelings” or be influenced by groupthink. SmartAssistant helps eliminate subjectivity by enabling hiring teams to align faster and identify quality talent more easily using data science to fuel selection decisions.